The Sykes–Picot Agreement /ˈsaɪks piˈkoʊ/ was a secret 1916 agreement between the United Kingdom and France, to which the Russian Empire assented. The agreement defined their mutually agreed spheres of influence and control in West Asia. The agreement was based on the premise that the Triple Entente would succeed in defeating the Ottoman Empire during World War I. The negotiations leading to the agreement occurred between November 1915 and March 1916  and it was signed 16 May 1916. The deal, exposed to the public in Izvestia and Pravda on 23 November 1917 and in the British Guardian on November 26, 1917, is still mentioned when considering the region and its present-day conflicts. The agreement allocated to Britain control of areas roughly comprising the coastal strip between the Mediterranean Sea and the River Jordan, Jordan, southern Iraq, and an additional small area that included the ports of Haifa and Acre, to allow access to the Mediterranean. France got control of southeastern Turkey, northern Iraq, Syria and Lebanon. As a result of the associated Sazonov-Paléologue Agreement, Russia was to get Istanbul, the Turkish Straits and Armenia. Italy assented to the agreement in 1917 via the Agreement of Saint-Jean-de-Maurienne. The controlling powers were left free to determine state boundaries within their areas. Further negotiation was expected to determine international administration in the "brown area" (an area including Jerusalem, similar to and smaller than Mandate Palestine), the form of which was to be decided upon after consultation with Russia, and subsequently in consultation with the other Allies, and the representatives of Hussein bin Ali, Sharif of Mecca. The agreement effectively divided the Ottoman Arab provinces outside the Arabian peninsula into areas of British and French control and influence. In the Levant, it was initially used directly as the basis for the 1918 Anglo–French Modus Vivendi which agreed a framework for the Occupied Enemy Territory Administration. More broadly it was to lead, indirectly, to the subsequent partitioning of the Ottoman Empire following Ottoman defeat in 1918. The Acre-Haifa zone was intended to be a British enclave in the North to enable access to the Mediterranean. The British later gained control of the brown zone and other territory in 1920 and ruled it as Mandatory Palestine from 1923 until 1948. They also ruled Mandatory Iraq from 1920 until 1932, while the French Mandate for Syria and the Lebanon lasted from 1923 to 1946. The terms were negotiated by British diplomat Mark Sykes and a French counterpart, François Georges-Picot. The Tsarist government was a minor party to the Sykes–Picot agreement, and when, following the Russian Revolution, the Bolsheviks published the agreement on 23 November 1917, "the British were embarrassed, the Arabs dismayed and the Turks delighted". The agreement is seen by many as a turning point in Western and Arab relations. It negated the UK's promises to Arabs made for a national Arab homeland in the area of Greater Syria, in exchange for supporting the British against the Ottoman Empire. In the Constantinople Agreement earlier in 1915, following the start of naval operations in the run up to the Gallipoli Campaign the Russian Foreign Minister, Sergey Sazonov, wrote to the French and UK ambassadors and staked a claim to Constantinople and the Straits of Dardanelles. In a series of diplomatic exchanges over five weeks, the UK and France both agreed, while putting forward their own claims, to an increased sphere of influence in Iran in the case of the UK and to an annex of Syria (including Palestine) and Cilicia for France. The UK and French claims were both agreed, all sides also agreeing that the exact governance of the Holy Places was to be left for later settlement. Although this agreement was ultimately never implemented because of the Russian revolution, it was in force as well as a direct motivation for it at the time the Sykes–Picot Agreement was being negotiated. The report of the De Bunsen Committee, prepared to determine British wartime policy toward the Ottoman Empire, and submitted in June 1915, concluded that, in case of the partition or zones of influence options, there should be a British sphere of influence that included Palestine while accepting that there were relevant French and Russian as well as Islamic interests in Jerusalem and the Holy Places. The treaties as summarized in 1923 by Ray Stannard Baker, who was Woodrow Wilson’s press secretary during the Paris Peace Conference. January 1919 British Foreign Office memorandum summarizing the wartime agreements regarding the Ottoman Empire. The Balfour Declaration along with its potential claim in Palestine was in the meantime issued on 2 November and the British entered Jerusalem on December 9, with Allenby on foot 2 days later accompanied by representatives of the French and Italian detachments. Russian claims in the Ottoman Empire were denied following the Bolshevik Revolution and the Bolsheviks released a copy of the Sykes–Picot Agreement (as well as other treaties). They revealed full texts in Izvestia and Pravda on 23 November 1917; subsequently, the Manchester Guardian printed the texts on November 26, 1917. This caused great embarrassment between the allies and growing distrust between them and the Arabs. The Zionists had previously confirmed the details of the Agreement with the British government, earlier in April. :207Wilson had rejected all secret agreements made between the Allies and promoted open diplomacy as well as ideas about self-determination. On 22 November 1917, Leon Trotsky, addressed a note to the ambassadors at Petrograd "containing proposals for a truce and a democratic peace without annexation and without indemnities, based on the principle of the independence of nations, and of their right to determine the nature of their own development themselves". Peace negotiations with the Quadruple Alliance – Germany, Austria–Hungary, Bulgaria and Turkey – started at Brest–Litovsk one month later. On behalf of the Quadruple Alliance, Count Czernin, replied on 25 December that the "question of State allegiance of national groups which possess no State independence" should be solved by "every State with its peoples independently in a constitutional manner", and that "the right of minorities forms an essential component part of the constitutional right of peoples to self- determination". 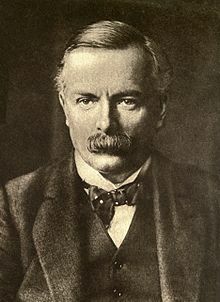 In his turn, Lloyd George delivered a speech on war aims on 5 January, including references to the right of self-determination and "consent of the governed" as well as to secret treaties and the changed circumstances regarding them. Three days later, Wilson weighed in with his Fourteen Points, the twelfth being that "the Turkish portions of the present Ottoman Empire should be assured a secure sovereignty, but the other nationalities which are now under Turkish rule should be assured an undoubted security of life and an absolutely unmolested opportunity of autonomous development". Sykes was the author of the Hogarth Message a secret January 1918 message to Hussein following his request for an explanation of the Balfour Declaration and the Bassett Letter was a letter (also secret) dated 8 February 1918 from the British Government to Hussein following his request for an explanation of the Sykes–Picot Agreement. The British issued the Declaration to the Seven on June 16 the first British pronouncement to the Arabs advancing the principle of national self-determination. On 30 September 1918, supporters of the Arab Revolt in Damascus declared a government loyal to the Sharif of Mecca. He had been declared King of the Arabs by a handful of religious leaders and other notables in Mecca. The Anglo-French Declaration of November 1918 pledged that Great Britain and France would "assist in the establishment of indigenous Governments and administrations in Syria and Mesopotamia" by "setting up of national governments and administrations deriving their authority from the free exercise of the initiative and choice of the indigenous populations". The French had reluctantly agreed to issue the declaration at the insistence of the British. Minutes of a British War Cabinet meeting reveal that the British had cited the laws of conquest and military occupation to avoid sharing the administration with the French under a civilian regime. The British stressed that the terms of the Anglo–French declaration had superseded the Sykes–Picot Agreement in order to justify fresh negotiations over the allocation of the territories of Syria, Mesopotamia, and Palestine. George Curzon said the Great Powers were still committed to the Règlement Organique agreement, which concerned governance and non-intervention in the affairs of the Maronite, Orthodox Christian, Druze, and Muslim communities, regarding the Beirut Vilayet of June 1861 and September 1864, and added that the rights granted to France in what is today modern Syria and parts of Turkey under Sykes–Picot were incompatible with that agreement. Zones of French (blue), British (red) and Russian (green) influence and control established by the Sykes–Picot Agreement. At a Downing Street meeting of 16 December 1915 Sykes had declared "I should like to draw a line from the e in Acre to the last k in Kirkuk." The Eastern Committee met nine times in November and December to draft a set of resolutions on British policy for the benefit of the negotiators. On 21 October, the War Cabinet asked Smuts to prepare the peace brief in summary form and he asked Erle Richards to carry out this task resulting in a "P-memo" for use by the Peace Conference delegates. The conclusions of the Eastern Committee at page 4 of the P-memo included as objectives the cancellation of Sykes–Picot and supporting the Arabs in their claim to a state with capital at Damascus (in line with the McMahon-Hussein Correspondence). At the Peace Conference, which officially opened on 18 January, The Big Four (initially, a "Council of Ten" comprising two delegates each from Britain, France, the United States, Italy and Japan) agreed, on 30 January, the outlines of a Mandate system (including three levels of Mandate) later to become Article 22 of the League Covenant. The Big Four would later decide which communities, under what conditions and which Mandatory. Minutes taken during a meeting of The Big Four held in Paris on March 20, 1919 and attended by Woodrow Wilson, Georges Clemenceau, Vittorio Emanuele Orlando as well as Lloyd George and Lord Balfour, explained the British and French points of view concerning the agreement. It was the first topic brought up during the discussion of Syria and Turkey, and formed the focus of all discussions thereafter. Wilson intervened and stressed the principle of consent of the governed whether it be Syria or Mesopotamia, that he thought the issues involved the peace of the world and were not necessarily just a matter between France and Britain. He suggested that an Inter-Allied Commission be formed and sent out to find out the wishes of local inhabitants in the region. The discussion concluded with Wilson agreeing to draft a Terms of Reference to the Commission. Meanwhile, as of late May, the standoff between the French and the British as to disposition of forces continued, the French continued to press for a replacement of British by French troops in Syria amid arguments about precise geographical limits of same and in general the relationship suffered; after the meeting on the 21st, Lloyd George had written to Clemenceau and cancelled the Long–Bérenger Oil Agreement (a revised version of which had been agreed at the end of April) claiming to have known nothing about it and not wanting it to become an issue while Clemenceau claimed that had not been the subject of any argument. In June 1919, the American King–Crane Commission arrived in Syria to inquire into local public opinion about the future of the country. After many vicissitudes, "mired in confusion and intrigue","Lloyd George had second thoughts...",:352 the French and British had declined to participate. 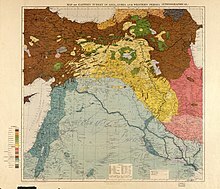 The Syrian National Congress had been convened in May 1919 to consider the future of Greater Syria and to present Arab views contained in a July 2 resolution to the King-Crane Commission. The Peace treaty with Germany was signed on 28 June and with the departure of Wilson and Lloyd George from Paris, the result was that the Turkey/Syria question was effectively placed on hold. In April 1920, the San Remo conference handed out Class A mandates over Syria to France, and Iraq and Palestine to Britain. The same conference ratified an oil agreement reached at a London conference on 12 February, based on a slightly different version of the Long Berenger agreement previously initialled in London on 21 December. In November 1914, the British had occupied Basra. According to the report of the de Bunsen Committee, British interests in Mesopotamia were defined by the need to protect the western flank of India and protect commercial interests including oil. The British also became concerned about the Berlin-Baghdad Railway. Although never ratified, the British had also initialled the Anglo-Ottoman Convention of 1913. 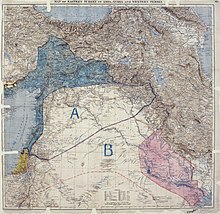 As part of the Mesopotamian Campaign, on 11 March 1917, the British entered Baghdad, the Armistice of Mudros was signed on 30 October 1918 although the British continued their advance, entering Mosul on the 14 November. Following the award of the British Mandate of Mesopotamia at San Remo, the British were faced with an Iraqi revolt against the British from July through February 1921 as well as a Kurdish revolt in Northern Iraq. Following the Cairo conference it was decided that Faisal should be installed as ruler in Mandatory Iraq. Sharif Pasha presented a "Memorandum on the Claims of the Kurd People" to the Paris peace Conference in 1919 and the suppressed report of the King–Crane Commission also recommended a form of autonomy in "the natural geographical area which lies between the proposed Armenia on the north and Mesopotamia on the south, with the divide between the Euphrates and the Tigris as the western boundary, and the Persian frontier as the eastern boundary". The Russians gave up territorial claims following the Bolshevik revolution and at the San Remo conference, the French were awarded the French Mandate of Syria and the English the British Mandate of Mesopotamia. The subsequent Treaty of Sèvres potentially provided for a Kurdish territory subject to a referendum and League of Nations sanction within a year of the treaty. However the Turkish War of Independence led to the treaty being superseded by the Treaty of Lausanne in which there was no provision for a Kurdish State. Many sources contend that Sykes-Picot conflicted with the Hussein–McMahon Correspondence of 1915–1916 and that the publication of the agreement in November 1917 caused the resignation of Sir Henry McMahon. There were several points of difference, the most obvious being Iraq placed in the British red area and less obviously, the idea that British and French advisors would be in control of the area designated as being for an Arab State. Lastly, while the correspondence made no mention of Palestine, Haifa and Acre were to be British and the brown area (a reduced Palestine) internationalised. The Islamic State of Iraq and the Levant (ISIL) claims one of the goals of its insurgency is to reverse the effects of the Sykes–Picot Agreement. "This is not the first border we will break, we will break other borders," a jihadist from the ISIL warned in a video titled End of Sykes-Picot. ISIL's leader, Abu Bakr al-Baghdadi, in a July 2014 speech at the Great Mosque of al-Nuri in Mosul, vowed that "this blessed advance will not stop until we hit the last nail in the coffin of the Sykes–Picot conspiracy". Former French Prime Minister Dominique de Villepin presented a similar geopolitical analysis in an editorial contribution for the French newspaper Le Monde. ^ In 12 January 1916, a memorandum commenting on a draft of the agreement, William Reginald Hall, British Director of Naval Intelligence criticised the proposed agreement on the basis that "the Jews have a strong material, and a very strong political, interest in the future of the country" and that "in the Brown area the question of Zionism, and also of British control of all Palestine railways, in the interest of Egypt, have to be considered". ^ Fromkin, David (1989). A Peace to End All Peace: The Fall of the Ottoman Empire and the Creation of the Modern Middle East. New York: Owl. pp. 286, 288. ISBN 978-0-8050-6884-9. ^ Martin Sicker (2001). The Middle East in the Twentieth Century. Greenwood Publishing Group. p. 26. ISBN 978-0275968939. Retrieved July 4, 2016 – via Google Books. ^ "Archived copy" (PDF). Archived from the original (PDF) on 2009-03-27. Retrieved 2009-05-08. CS1 maint: Archived copy as title (link) p. 8. ^ "Syria and Lebanon are often in the news". Archived from the original on 2016-03-02. Retrieved 2016-02-19. ^ "The war within". The Economist. 2016-05-14. Archived from the original on 2017-09-15. Retrieved 2017-09-15. ^ a b c "Sykes-Picot Agreement - World War I Document Archive". wwi.lib.byu.edu. Archived from the original on 2009-04-26. Retrieved 2009-09-23. ^ a b c d Alexander Mikaberidze (22 July 2011). Conflict and Conquest in the Islamic World: A Historical Encyclopedia [2 volumes]: A Historical Encyclopedia. ABC-CLIO. pp. 861–. ISBN 978-1-59884-337-8. ^ J. C. Hurewitz (1979). The Middle East and North Africa in World Politics: A Documentary Record. British-French supremacy, 1914-1945. 2. Yale University Press. pp. 16–21. ISBN 978-0-300-02203-2. ^ Huneidi, Sahar; Huneidi, Sarah (7 April 2001). A Broken Trust: Sir Herbert Samuel, Zionism and the Palestinians. I.B.Tauris. ISBN 9781860641725 – via Google Books. ^ Rose, N.A. (2013). The Gentile Zionists: A Study in Anglo-Zionist Diplomacy 1929-1939. Routledge. p. 264. ISBN 9781135158651. ^ Hurewitz, J.C. (June 1979). The Middle East and North Africa in World Politics:A Documentary Record. British-French supremacy, 1914-1945 Vol.2. Yale University Press. ISBN 9780300022032. ^ Friedman 1992, p. 111. ^ Desplatt, Juliette (May 16, 2016). "Dividing the bear's skin while the bear is still alive". The national Archives. Archived from the original on 2017-08-06. Retrieved June 30, 2017. This content is available under the Open Government Licence v3.0 Archived 2017-06-28 at the Wayback Machine. © Crown copyright. ^ "The Sykes-Picot Agreement : 1916". Yale Law School The Avalon Project. Archived from the original on 2016-04-14. Retrieved 6 August 2017. ^ "Archived copy" (PDF). Archived from the original (PDF) on 2009-03-27. Retrieved 2009-05-08. CS1 maint: Archived copy as title (link) p. 9. ^ "Peace conference: memoranda respecting Syria, Arabia and Palestine". The British Library. Archived from the original on 2017-05-31. Retrieved 2017-08-03. ^ "Peace conference: memoranda respecting Syria, Arabia and Palestine, P.50, Syria". British Library. Archived from the original on 2017-05-31. Retrieved 6 August 2017. ^ "FRUS: Papers relating to the foreign relations of the United States, The Paris Peace Conference, 1919: The Council of Four: minutes of meetings March 20 to May 24, 1919". digicoll.library.wisc.edu. Archived from the original on 2011-06-04. Retrieved 2009-04-17. ^ "FRUS: Papers relating to the foreign relations of the United States, The Paris Peace Conference, 1919: The Council of Four: minutes of meetings March 20 to May 24, 1919". digicoll.library.wisc.edu. Archived from the original on 2017-08-07. Retrieved 2017-08-07. ^ "FRUS: Papers relating to the foreign relations of the United States, The Paris Peace Conference, 1919: The Council of Four: minutes of meetings March 20 to May 24, 1919". digicoll.library.wisc.edu. Archived from the original on 2017-08-08. Retrieved 2017-08-08. ^ "FRUS: Papers relating to the foreign relations of the United States, The Paris Peace Conference, 1919: The Council of Four: minutes of meetings May 24 to June 28, 1919". digicoll.library.wisc.edu. Archived from the original on 2017-08-08. Retrieved 2017-08-08. ^ "Resolutions of the General Syrian Congress". Documenting Modern World History. July 2, 1919. Archived from the original on 2017-08-08. Retrieved August 8, 2017. ... resolved to submit the following as defining the aspirations of the people who have chosen us to place them before the American section of the Inter-Allied Commission. ^ "FRUS: Papers relating to the foreign relations of the United States, The Paris Peace Conference, 1919: The Council of Heads of Delegations: minutes of meetings July 1 to August 28, 1919". digicoll.library.wisc.edu. Archived from the original on 2017-08-08. Retrieved 2017-08-08. ^ "Notes of a Meeting of the Heads of Delegations of the Five Great Powers, Paris, 15 September, 1919". Archived from the original on 2017-08-09. Retrieved August 8, 2017. ^ a b Bowman, Isaiah (1921). The New World: Problems in Political Geography. New York: World Book Company. p. 445. ^ Yapp, Malcolm (1987). The Making of the Modern Near East 1792–1923. Harlow, England: Longman. p. 281–2. ISBN 978-0-582-49380-3. ^ Such coverage includes Osman, T. (2013) "Why border lines drawn with a ruler in WW1 still rock the Middle East Archived 2018-08-02 at the Wayback Machine"; Wright, R. (2016) "How the curse of Sykes-Picot still haunts the Middle East" Archived 2016-10-19 at the Wayback Machine; and Anderson, S. (2016) "Fractured lands: How the Arab world came apart Archived 2017-03-07 at the Wayback Machine"
^ See, for example, academic conferences hosted by York St. John University Archived 2016-11-07 at the Wayback Machine, the Jerusalem Center for Public Affairs Archived 2016-11-07 at the Wayback Machine, and symposium by the American Society of International Law Archived 2016-11-07 at the Wayback Machine. ^ Ibrahim, S.E. "Islam and prospects for democracy in the Middle East" (PDF). Center for Strategic and International Studies. Archived from the original (PDF) on June 14, 2010. Retrieved November 6, 2016. ^ Pursley, Sara (June 2, 2015). "'Lines Drawn on an Empty Map': Iraq's Borders and the Legend of the Artificial State". Jadaliyya. Arab Studies Institute. Archived from the original on 2016-10-28. ^ a b Mark Tran; Matthew Weaver (2014-06-30). "Isis announces Islamic caliphate in area straddling Iraq and Syria". www.theguardian.com. The Guardian. Archived from the original on 2014-07-01. Retrieved 2019-01-03. ^ "Watch this English-speaking ISIS fighter explain how a 98-year-old colonial map created today's conflict". LA Daily News. 2014-02-07. Archived from the original on 2014-07-14. Retrieved 2014-07-03. ^ David L. Phillips. "Extremists in Iraq need a history lesson". CNBC. Archived from the original on 2015-03-22. Retrieved 2017-09-15. ^ Wright, Robin (April 30, 2016). "How the Curse of Sykes-Picot Still Haunts the Middle East". The New Yorker. Archived from the original on 2017-11-12. Retrieved 2017-11-05. ^ "First Appearance of ISIS leader Abu Bakr Al Baghdadi". YouTube.com. 17 November 2014. Retrieved 23 August 2017. ^ Dominique de Villepin (2014-08-09). "Ne laissons pas le Moyen-Orient à la barbarie !". Le Monde.fr (in French). Le Monde. Archived from the original on 2014-08-10. Retrieved August 10, 2014. James Barr (2012). A Line in the Sand: Britain, France and the Struggle That Shaped the Middle East. Simon & Schuster. ISBN 978-1-84739-457-6. Erik Jan Zürcher (2004). Turkey: A Modern History. I.B.Tauris. pp. 143–145. ISBN 978-1-86064-958-5. Wikimedia Commons has media related to Sykes–Picot Agreement.